Bryan Olmstead, from tr1tium.com has built himself a Dekatron spinner ! Well documented build, lots of great photos and info! 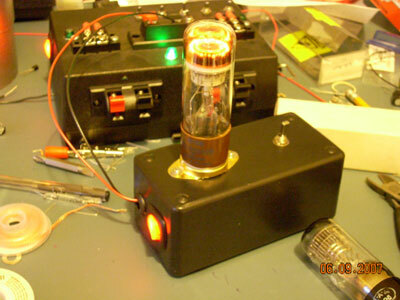 Bryan also has built himself a couple of nixie clocks, good work! Hacked Gadgets - Name that thing! 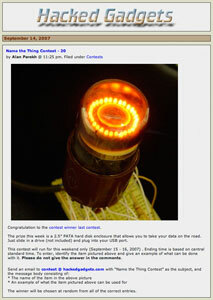 Alan Parehk, of Hacked Gadgets , has a 'Name the Thing' contest once a week or so. Contest #20 featured a photograph of my Dekatron Spinner! This seems to be a popular photograph, not only has it appeared on Alan's site for his competition, one eBay seller also chose to use it for his A101 Decatron auctions. Thanks Alan! Was great to see my photo on your site!! 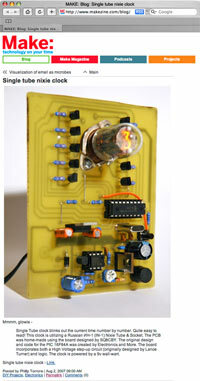 Single-Tube Nixie Blogged by Make! 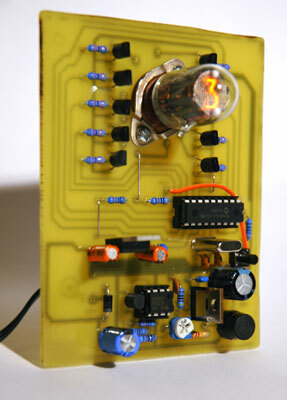 my Single Tube Nixie Clock! 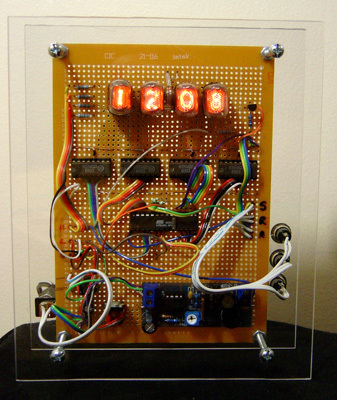 My first build of a single digit nixie clock! 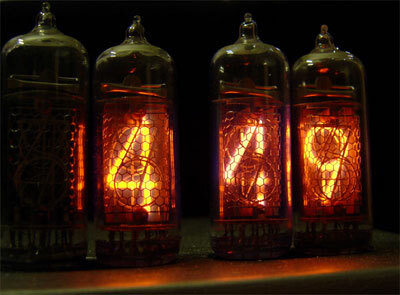 'Nixie / Neon Display Technology' flickr photoset, cool! 'It's Nixie Time!' Now in 2 sizes! 'It's Nixie Time!' v.2 the Mac OSX widget was popular, but Mike wasn't happy - he wanted me to make it smaller... And not wanting to disappoint Mike, I did just that. 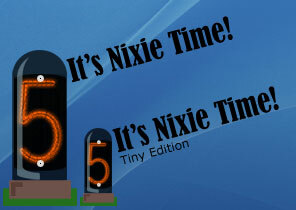 Now available as 'It's Nixie Time!' and 'It's Nixie Time! 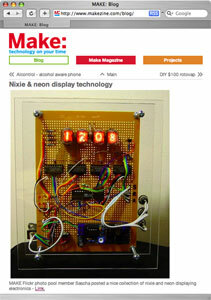 - Tiny Edition' Both can be downloaded from the Nixie Stuff Section! Here it is! My second Nixie Clock!